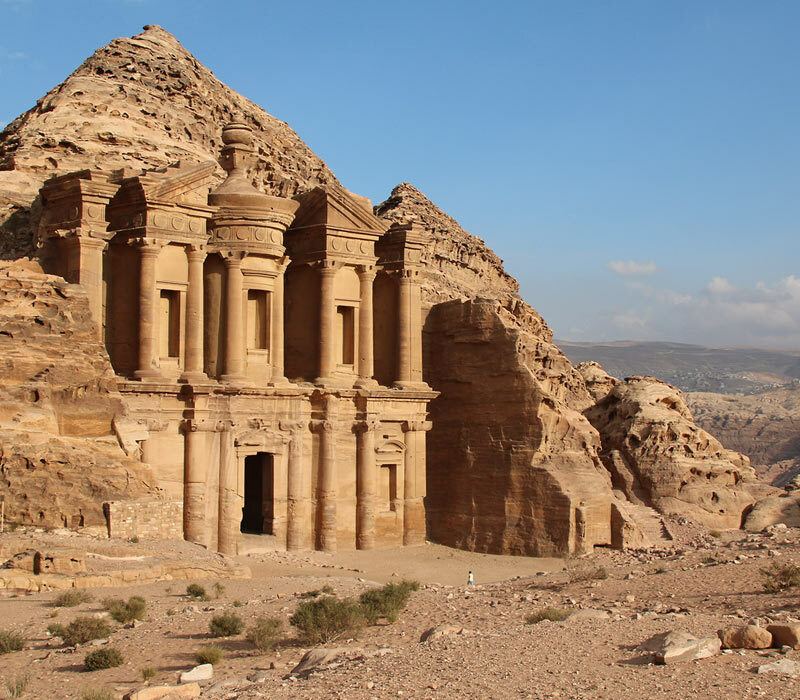 The World Heritage city of Petra with over 600 rock-cut tombs, offers such a wealth of attractions that you should really plan several days for a visit. These informative photo tours introduce the main highlights, draw attention to many details and recommend routes with breathtaking views. Interactive maps help you find your way around. 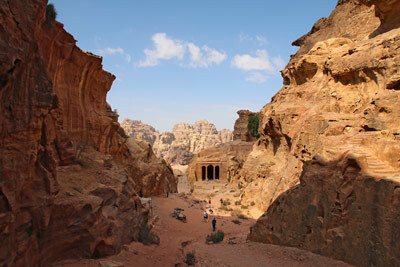 Petra, which means stone, is the Greek denomination of a Nabatean retreat, which the Nabateans called Raqmu. 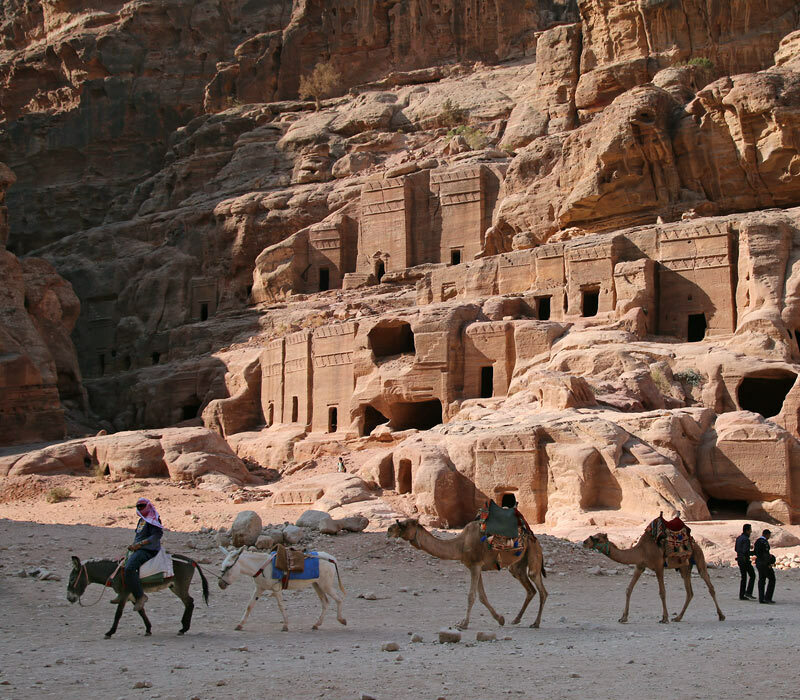 There are different theories about the origin of these North Arabic people. 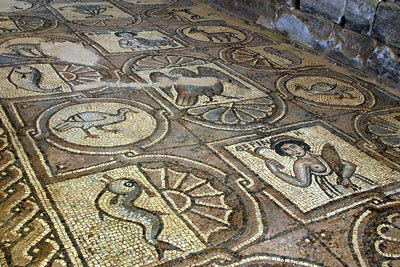 The first historically documented reference dates from 311 BC. 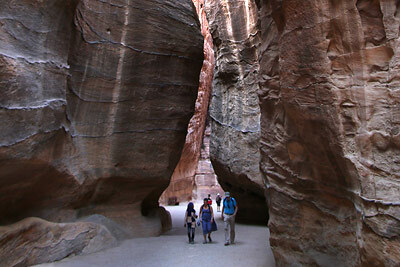 Petra/Raqmu is located halfway between the Gulf of Aqaba and the Dead Sea, in a wide valley surrounded by protecting rock massifs. 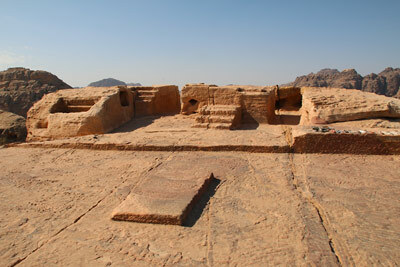 Initially it served as a seasonal tent campsite for the nomadic traders and cattle breeders. 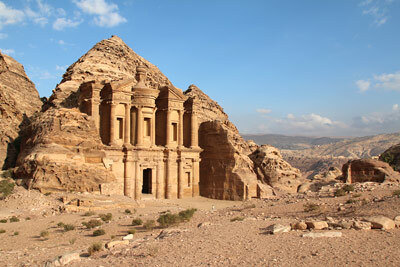 In the course of the 2nd century BC, a more sedentary lifestyle developed, and Petra became the capital of the Nabataean Kingdom at the crossroad of important caravan routes. 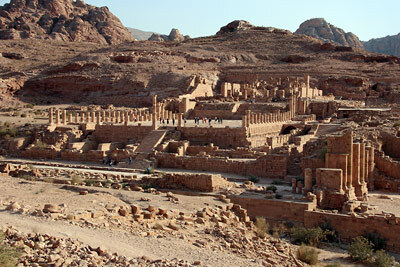 Its legendary wealth was based on the trade of incense, myrrh, spices, as well as bitumen from the Dead Sea. 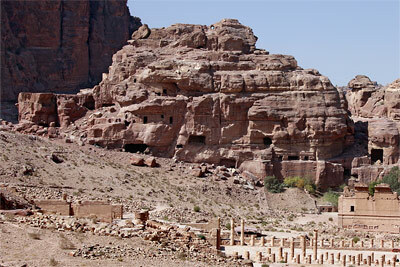 Most of the rock-cut tombs with monumental façades were created from the end of the 1st century BC onward, mainly during Petra's heyday in the first decades after the turn of the century. 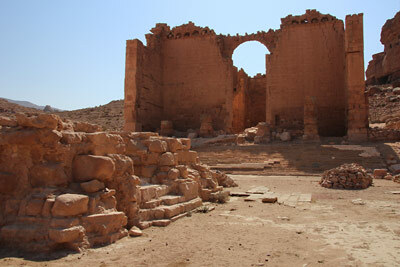 When it was conquered by the Romans, the Nabataean Kingdom lost its autonomy, and became part of Rome's Provincia Arabia. 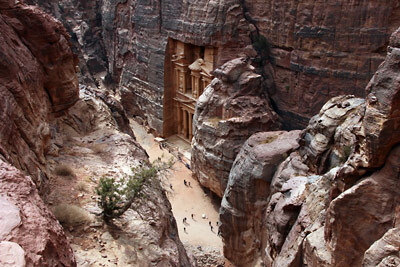 The last historical testimony of Nabataean civilization is an inscription from the year 328 AD. 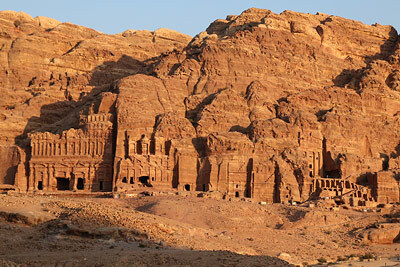 A devastating earthquake in 363 AD caused serious destruction in Petra, but even after that the city remained inhabited, until it sank into oblivion in the 12th century. Its "discovery" for modern research started in 1812 with the secret visit of the Swiss Johann Ludwig Burckhardt. 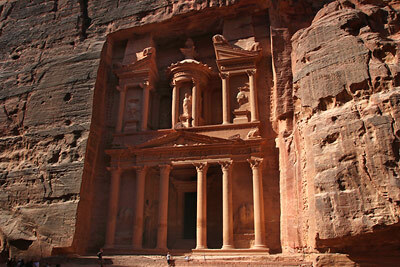 For its outstanding universal value and unique archaeological treasures Petra was declared a UNESCO World Heritage Site in 1985. 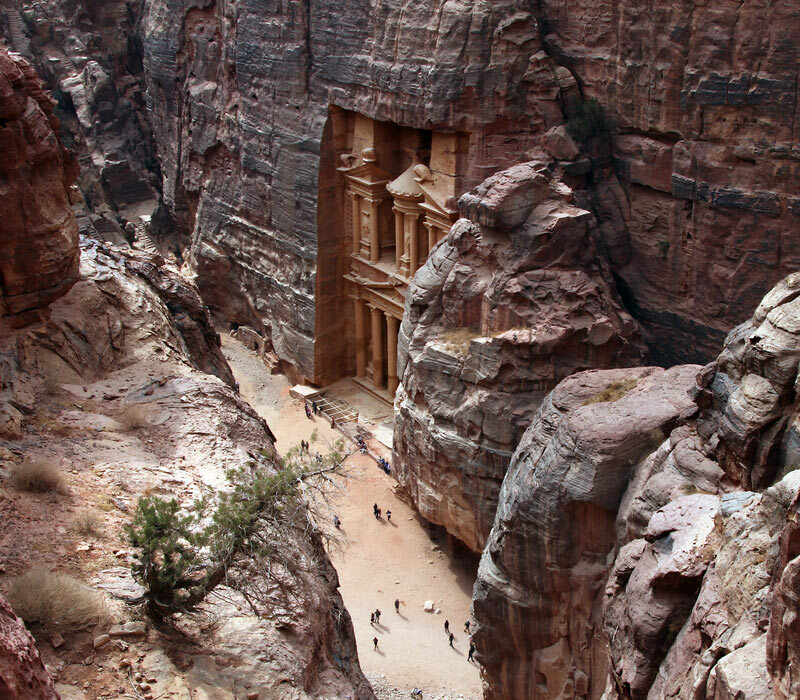 For today's visitors, after an impressive walk through a natural cleft 1.2 km long , the sacred Siq, with steep cliffs up to 80 meters high, the well-known Treasury of the Pharaoh is the spectacular beginning of an enormous area with elaborate tomb and temple architecture, religious high places, ingenious water management system, and archaeological remains that are an exceptional testimony of the succession and intermingling of periods and styles from prehistoric to medieval times. 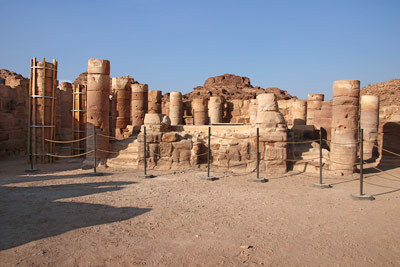 Detailed information in the photo tours.